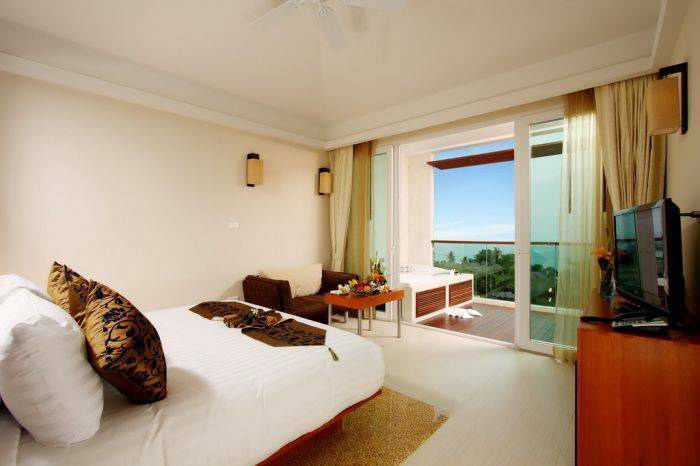 Five minutes drive to the south one finds the bustle and excitement of the island’s major shopping and entertainment centre – and also only 300m from the beach of the nostalgia Chaweng Beach; while the boutique international airport is conveniently placed only 10 minutes away. From Samui International Airport 15 minutes. From Nathon Pier 45 minutes. 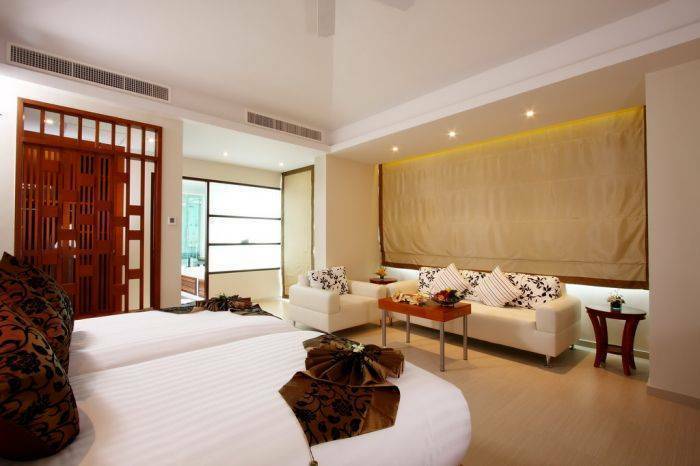 KC Luxury Jacuzzi is 54 Sq M with King Size Bed or Twin Bedded Bed, custom design bedroom with specially design mattress to keep the guest comfort and trendy HIP design. 1 King Size custom design bedroom Design bedroom with specially design mattress to keep the guest comfort, with a under light bed and crystal water stone tiles covered luxury 500 Threads Egyptian cotton duvets and linens. 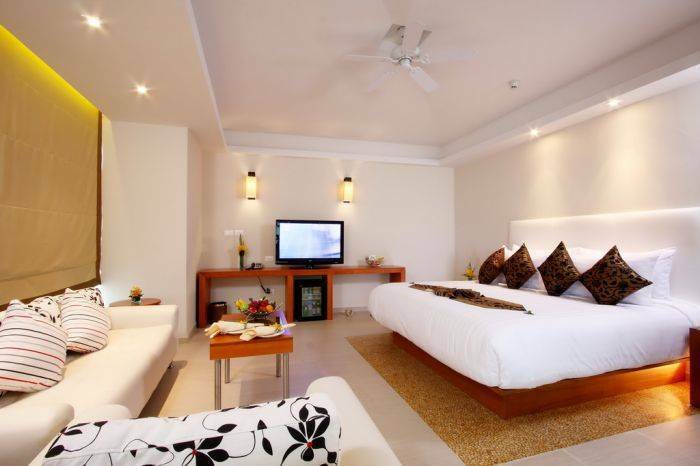 KC Luxury Jacuzzi Suites is 58 Sq M with King Size Bed trendy HIP design. 1 Emperor Size custom design bedroom with specially design mattress to keep the guest comfort, with a under light bed and crystal water stone tiles covered luxury 500 Threads Egyptian cotton duvets and linens. Cancelation: 3 Days before Arrival Date or the following penalty will apply: Full cost of 2 night stay will be taken from your credit card.